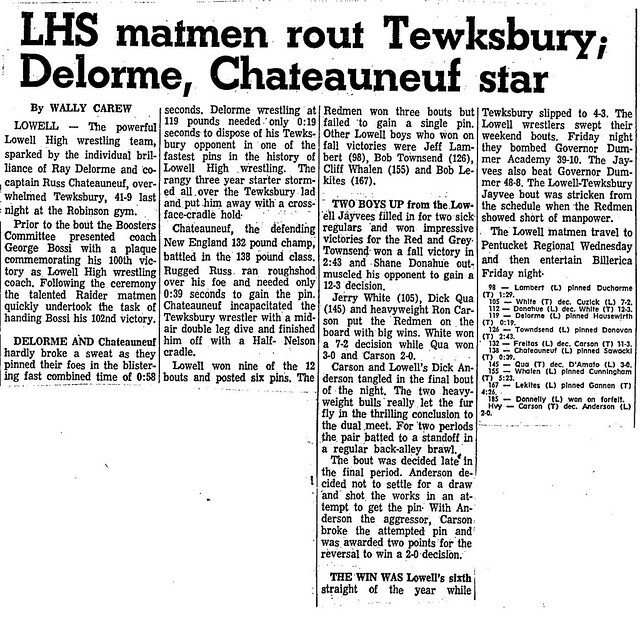 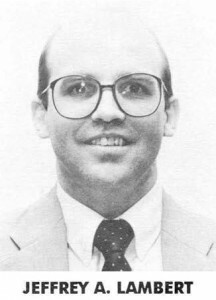 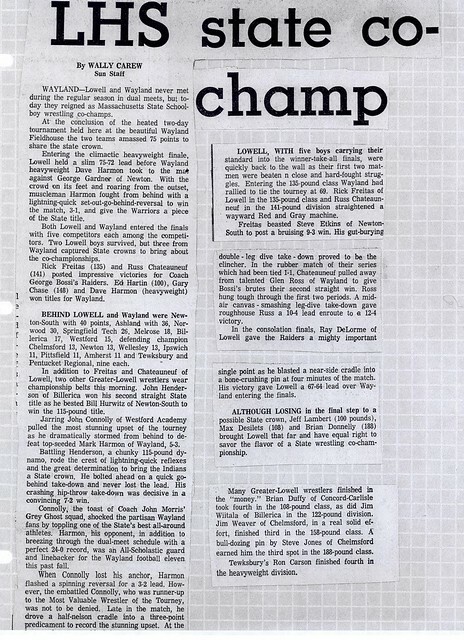 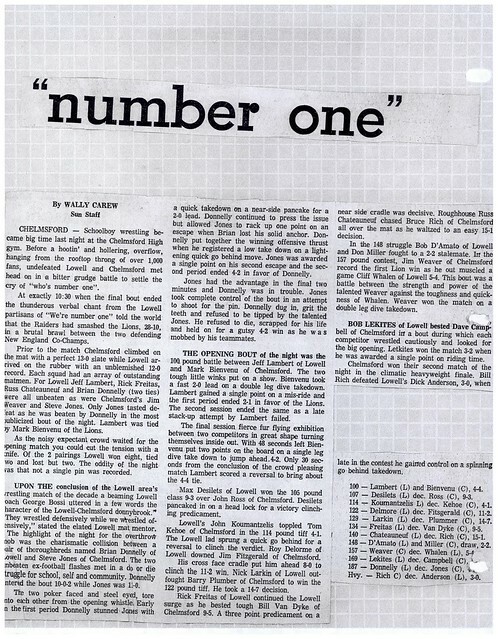 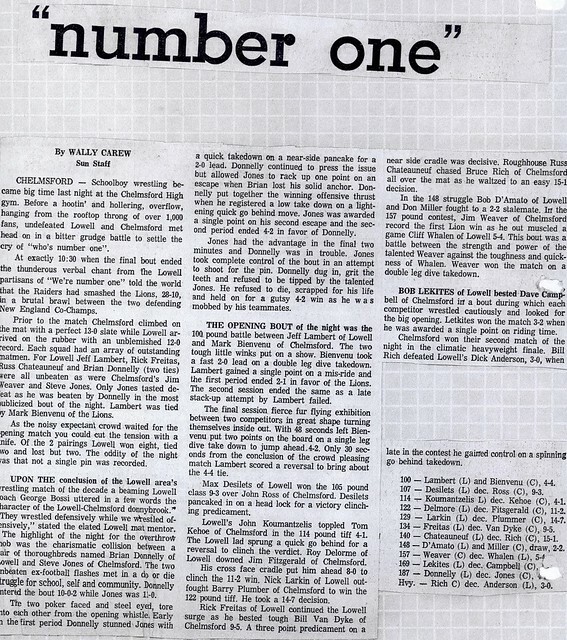 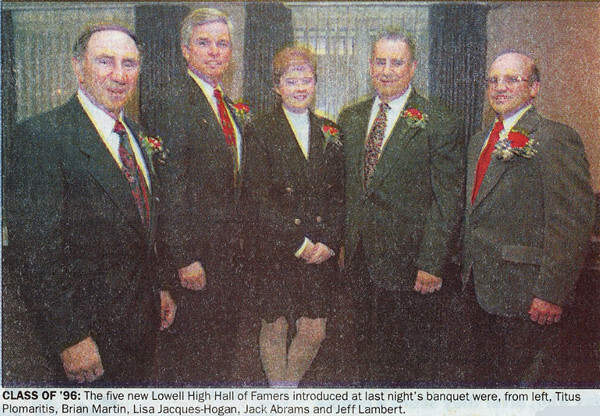 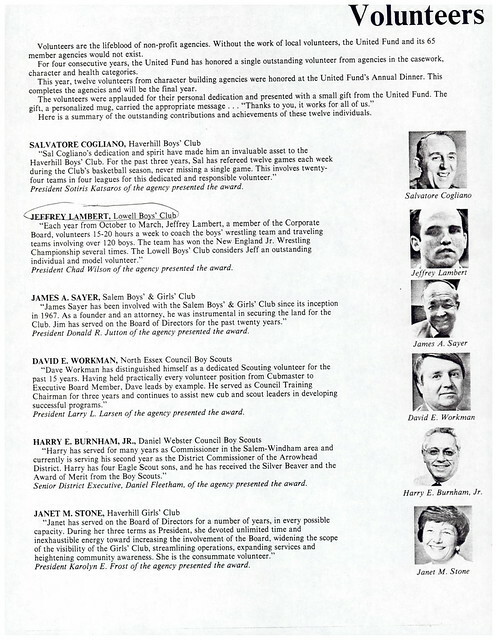 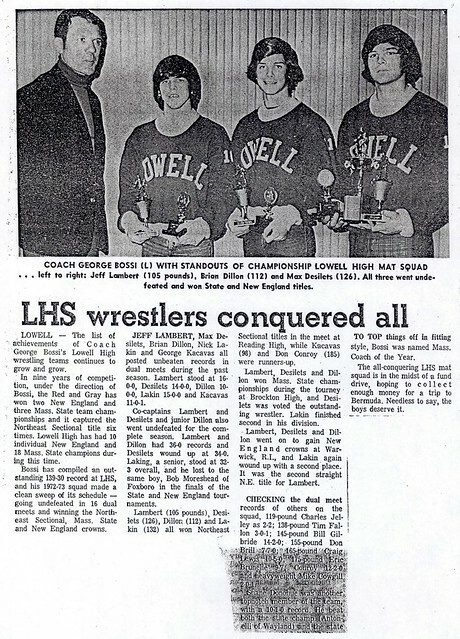 Working under legendary Coach George Bossi, Jeff Lambert established a reputation as one of the most outstanding performers in the history of the Lowell High School Wrestling Program. 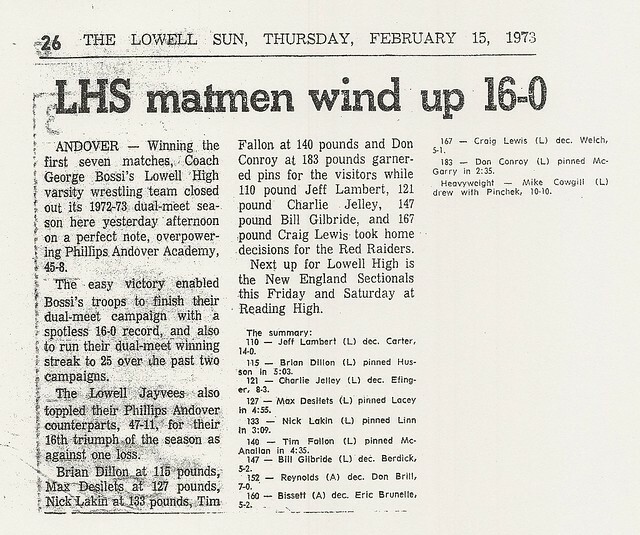 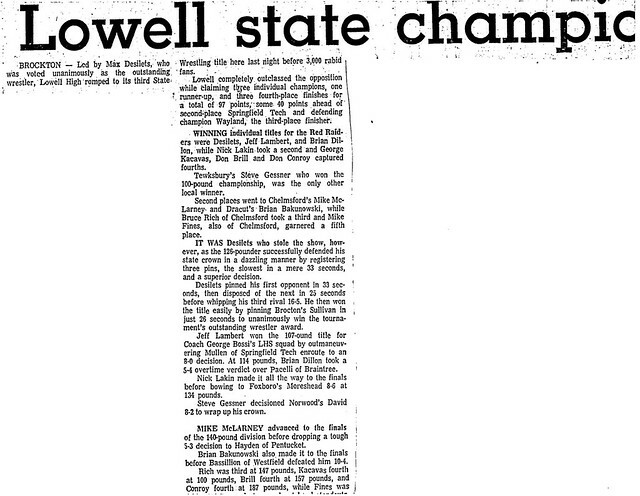 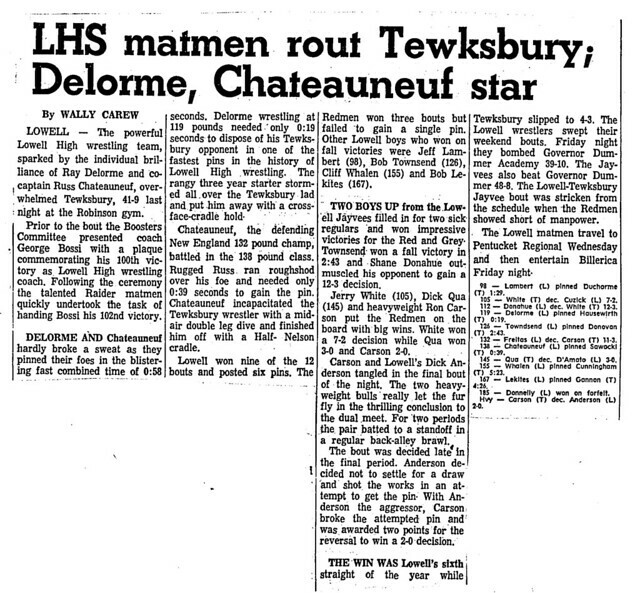 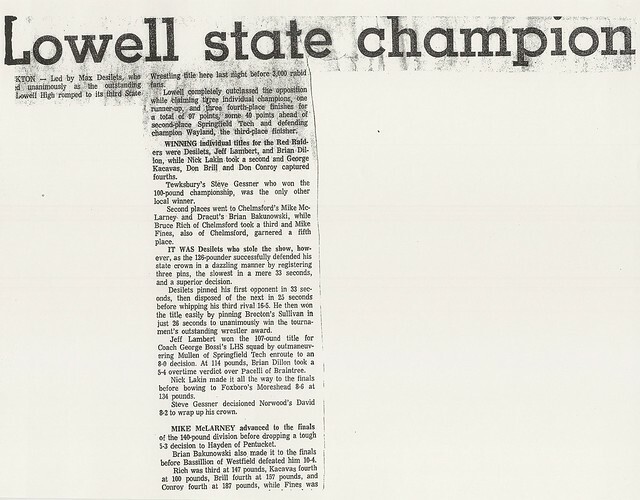 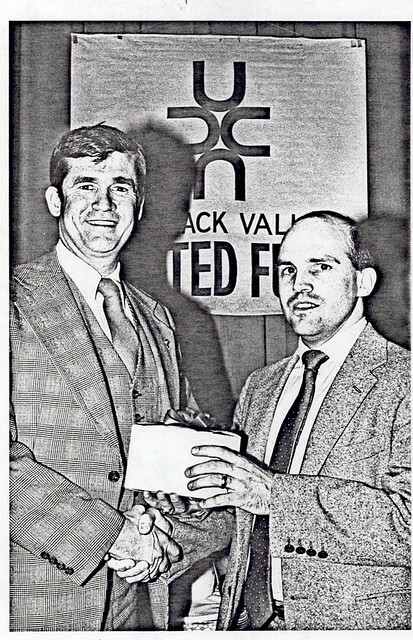 A Four-Year Varsity performer, Jeff was runner-up in 1971 in both the prestigious Lowell Holiday Tournament and the Massachusetts State Championships. 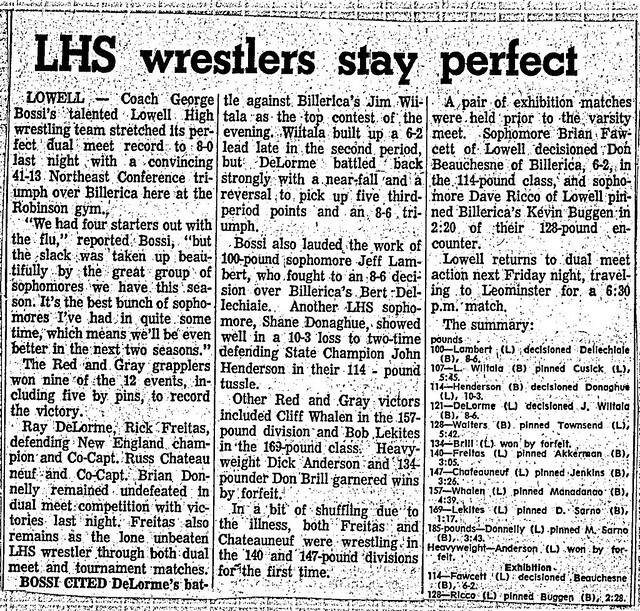 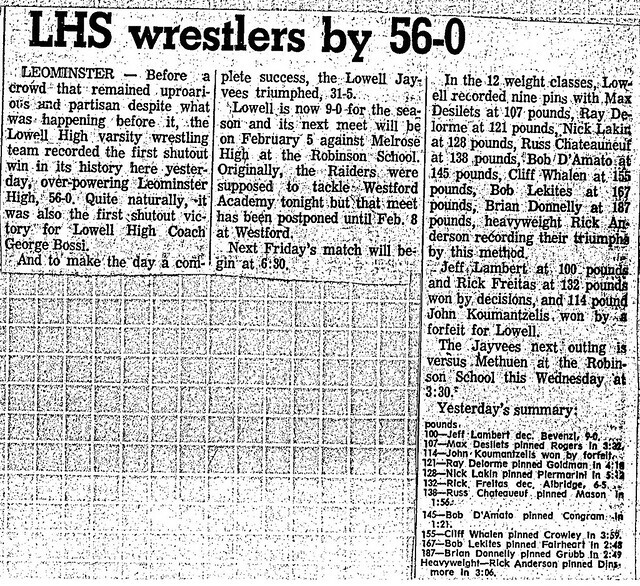 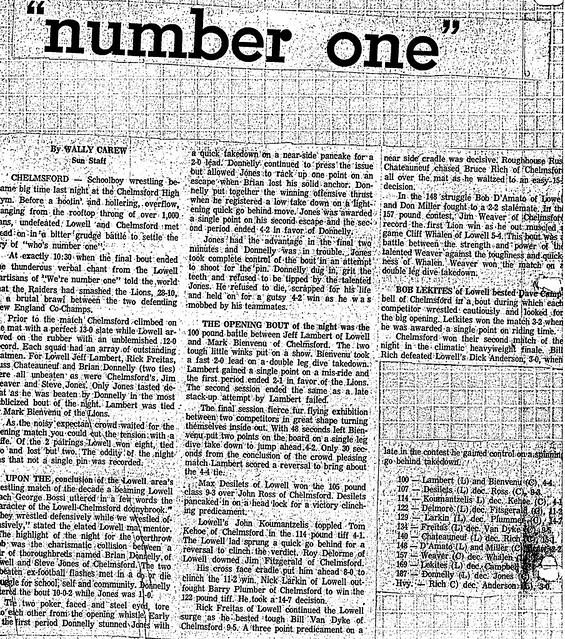 As a junior (1971–1972) Jeff began to emerge as a dominant wrestler, winning titles at the Lowell Holiday Tournament and the Northeast Sectional Championships. 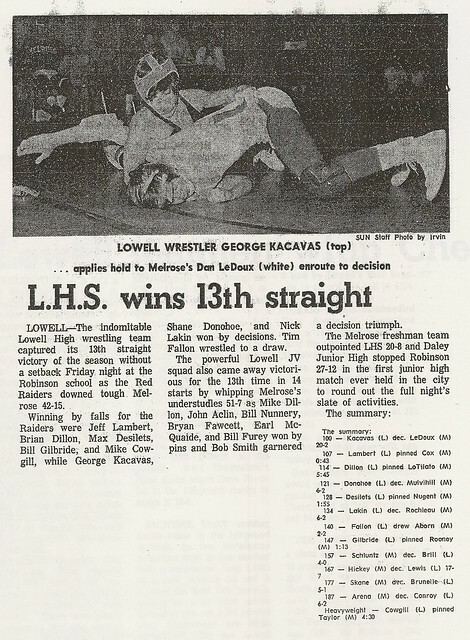 His season culminated in a New England Championship after a second place finish at the Massachusetts State Tournament. 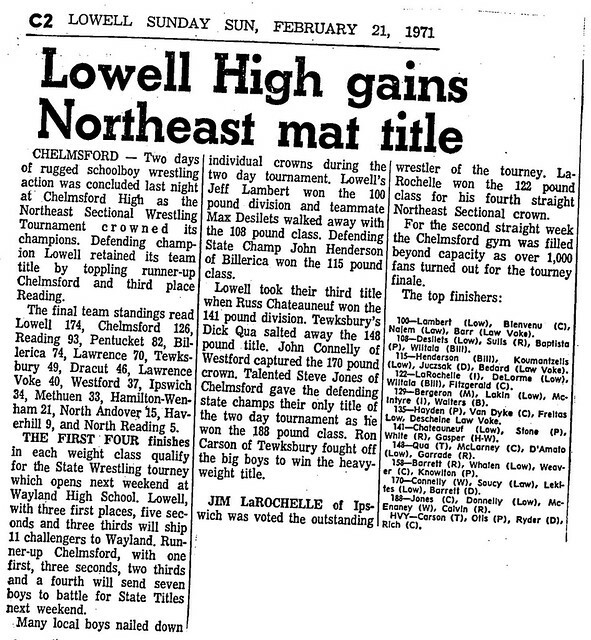 During his senior year (1972–1973), Jeff reached the pinnacle of High School Wrestling, garnering titles at the Lowell Holiday Tournament & the Northeast Sectional Tournament before winning State and New England Championships. 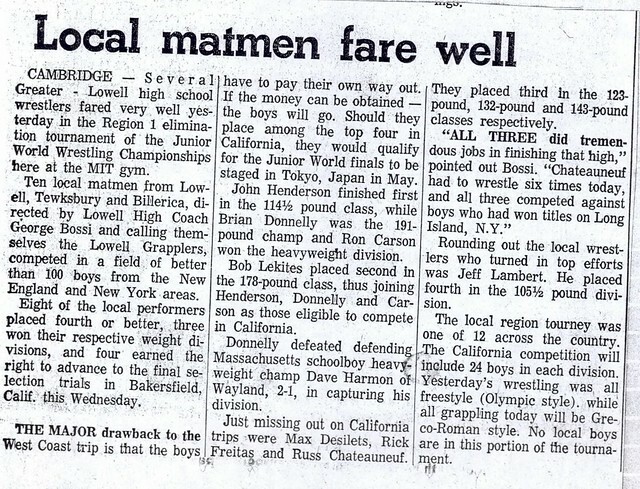 He placed 3rd in Greco-Roman and 5th in Freestyle at the National A.A.U. 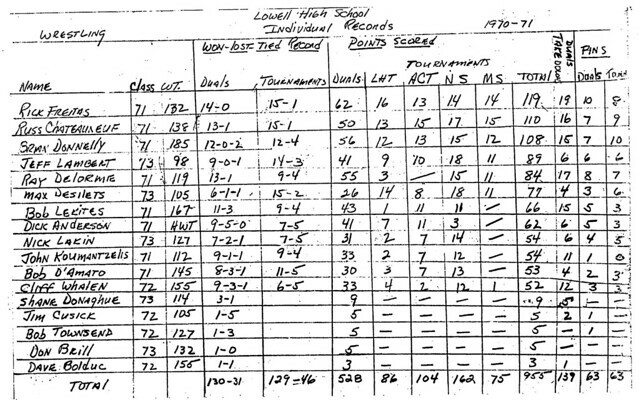 Tournament. 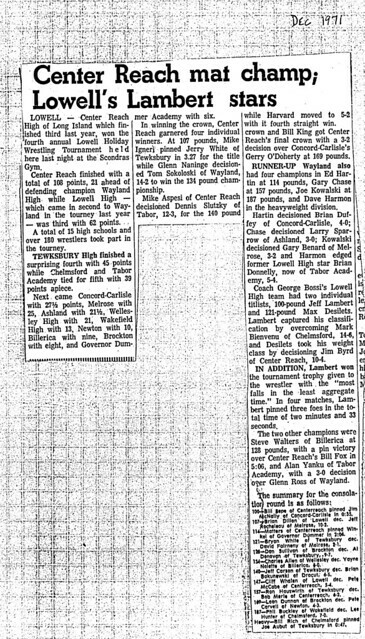 He was honored for his efforts by being selected as High School All -American. 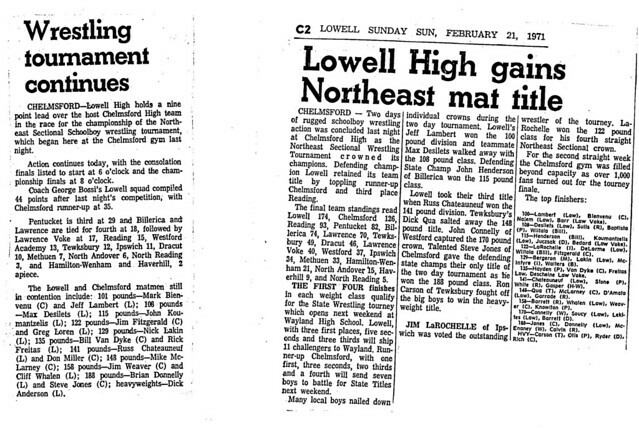 After graduation, Jeff matriculated at New England Wrestling powerhouse Boston University. 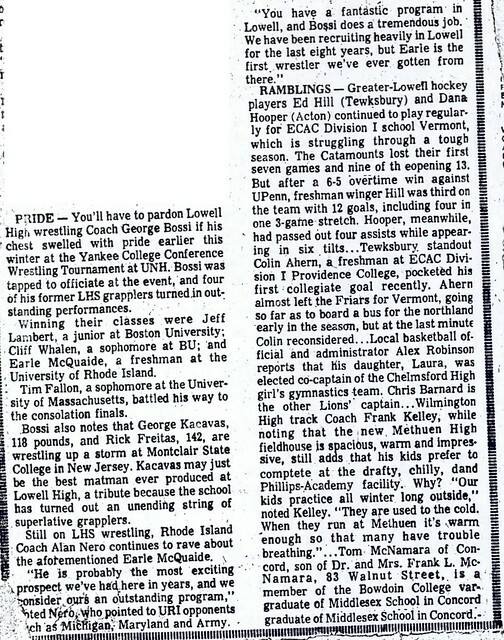 During his Terrier career, he was a four-time All­Yankee Conference selection and two-time NCAA Division I qualifier. 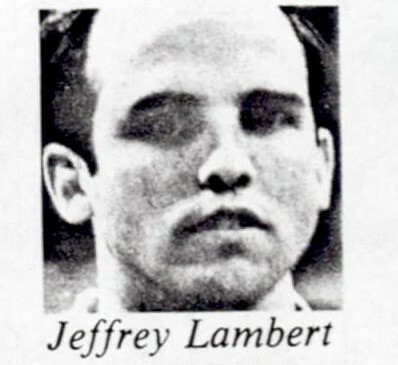 A two-time Co-Captain, Jeff placed four consecutive years at the New England Championships, winning titles in 1975 and 1977. 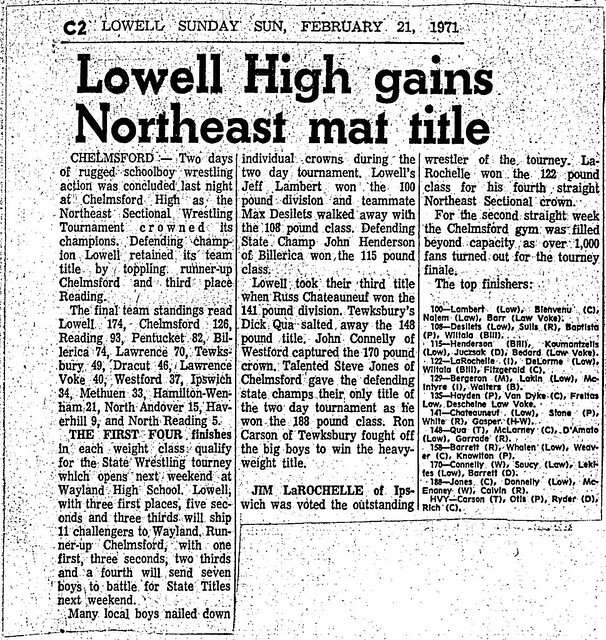 After graduation, Jeff served as Program Director and coach of the highly successful Lowell Boy’s Club Youth Wrestling Program.